A robot submarine found the ‘Holy Grail of shipwrecks.’ It’s worth billions. The San José, the largest galleon and the flagship of one group of Spanish ships that started sailing in the 16th century, was big and — thanks to 62 bronze cannons engraved with dolphins — deadly enough to deter or destroy ships, whether pirates or rival nations. Except when it didn’t. On June 8, 1708, during the War of the Spanish Succession, the San José’s gunpowder ignited during a battle with British ships, sending 600 doomed sailors to the bottom of the Atlantic Ocean — along with gold, silver and emeralds from mines in Peru, a total haul valued at some $17 billion in today’s dollars. It stands as one of the most expensive maritime losses in history. And “the Holy Grail of shipwrecks” stayed underwater, undiscovered for more than 300 years. Enter a tiny submersible robot named Remus 6000 — packed with sensors and cameras and capable of diving four miles underwater — that has discovered the centuries-old final resting place of the sunken ship. The unmanned underwater vehicle, operated by Woods Hole Oceanographic Institution (WHOI), uses far-reaching sonar to identify objects on the seafloor — then circles back to take pictures of anything worthy of a closer look. Remus 6000 has used the same tactic to find the remains of Air France 447, two years after it crashed off the coast of Brazil in 2009. The wreckage of the San José was discovered two years ago, but the location off the Colombian port town of Cartagena and other details have been closely-held secrets. New details were released on Monday from the agencies involved in the search, including the Colombian military that ferried Remus 6000 to the search location. Researchers realized what they had found from a key distinguishing feature. Jeff Kaeli, one of the engineers who operates the Remus 6000, said he was in his bunk when the first pictures came in. “I’m not a marine archaeologist, but … I know what a cannon looks like,” he told CBS News. “So in that moment, I guess I was the only person in the world who knew we’d found the shipwreck,” he said. Do the precious metals and emeralds at the bottom of the Atlantic belong to the people of Colombia or to the people of Spain? 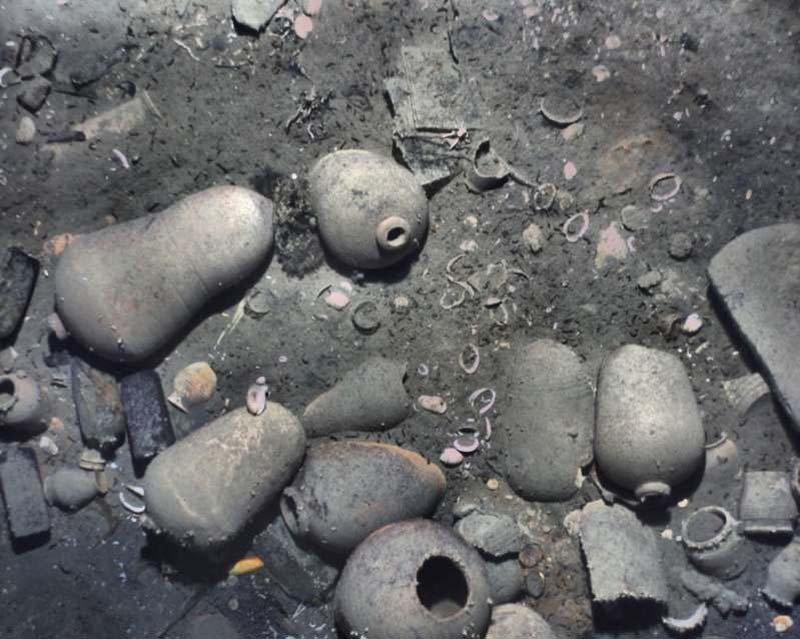 “The San José discovery carries considerable cultural and historical significance for the Colombian government and people because of the ship’s treasure of cultural and historical artifacts and the clues they may provide about Europe’s economic, social, and political climate in the early 18th century,” WHOI said in a news release about the find. Still the researchers at Woods Hole say they have no financial stake in the haul. World - U.S. Daily News: A robot submarine found the ‘Holy Grail of shipwrecks.’ It’s worth billions.